In addition to unique one-of-a-kind items, Picture to Puppet also produces bulk orders of wholesale puppets and wholesale soft toys. 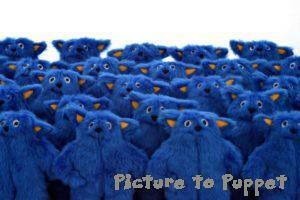 Whether you need a large or small number of identical puppets or soft toys made to order, we can meet your needs. Bulk orders are perfect for educational programmes, schools, or marketing campaigns. Each one is still handmade in our studio to the same high standard as all of our custom puppets and custom soft toys. Get in touch and talk to us about your custom toy manufacturing needs! The more you order, the cheaper each item is! 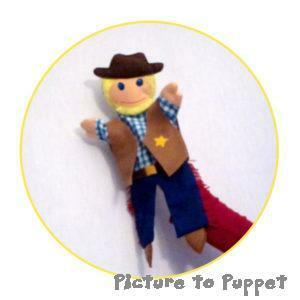 Why choose Picture to Puppet for your custom toy manufacturing? 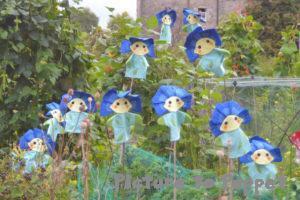 Picture to Puppet has made a variety of bulk orders, for a diverse range of clients. There is no minimum order, so we’re perfect for occasions when regular wholesale would be too much. We offer a fully customisable bespoke service just like with any other order. The process starts with a prototype created to your specifications, giving you the opportunity to make any changes needed. Then we copy the final prototype as many times as you want for your . Once we’ve created the pattern, it’s much faster to make additional puppets or soft toys, resulting in a lower final price for you! We never outsource production, so you can place your order with peace of mind, knowing that every item will be made with care here in our Edinburgh studio. One of our most common items to make for bulk orders is our glove puppets. These can be customised endlessly to match your character or mascot, and are easy to make and use. 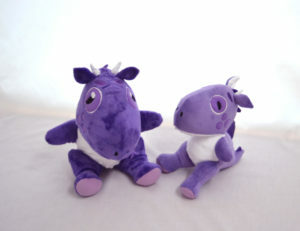 Wholesale soft toys made to order are also very popular. We can create any sort of human, animal, or magical creature to make in bulk. Contact me for a quote or to find out more about our bulk order services!